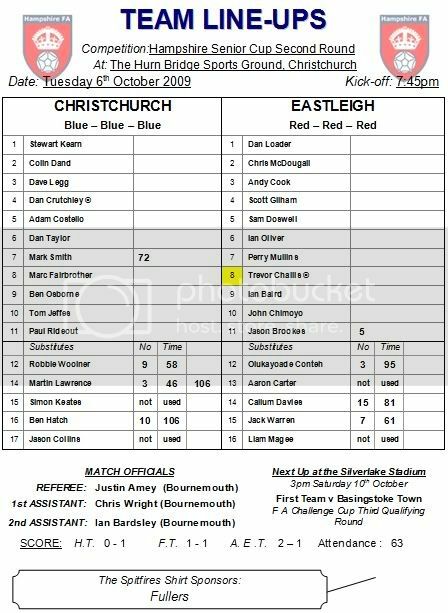 Eastleigh did start well; Baird fired a free kick over the bar whilst his strike partner John Chimoyo previously with AFC Totton shot wide when well placed. The home side were starting to press their mark on the match after their early set back. 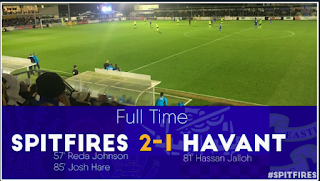 Tom Jeffes had a header just wide of the target midway through the opening half whilst Eastleigh almost increased their lead when a Baird header from an Ian Oliver corner was knocked on to his own bar by Dan Crutchley in the Christchurch defence. Dan Taylor had a header blocked on the line for Christchurch as they came close to notching an equaliser. 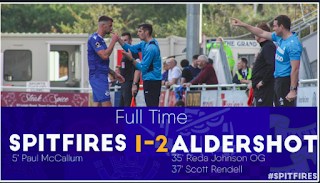 On thirty-seven minutes Mark Smith broke away from the half way line but his shot across the face of Dan Loader in the Eastleigh goal was also wide of the upright. As the half was approaching a close, Perry Mullins had a shot that took a deflection tipped over the bar by Kearns whilst Sam Doswell had to produce a last chance tackle to deny Ben Osborne. Smith fired a shot against the post from six yards out within two minutes of the restart for Christchurch then twelve minutes later Smith took the ball into the area having got behind the Eastleigh defence, rounded Loader but could not get a shot in on goal which would undoubtedly have been the equaliser. 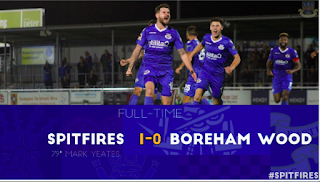 Martin Lawrence had a header from a Smith corner saved by Loader on sixty-four minutes, but the equaliser eventually did arrive after seventy-two minutes. Taylor got to the bye line before laying the ball back to allow Smith to fire home for Christchurch. Chimoyo produced another attempt but Christchurch threatened the most in the final stages. In the last minute Loader produced a stunning stop against his old club from an Adam Costello header then a drive from Marc Fairbrother was also met by a save by Loader. Three minutes into the first period of extra time Tom Jeffes should have done better with Loader out of position but Eastleigh escaped. There was no escape within the first minute of the start of the second period of extra time. With his first touch substitute Ben Hatch laid the ball back for Lawrence to calmly tuck away what proved to be the winning goal. Baird had a free kick that was saved by Kearns but there was not enough to take the game to a penalty shoot out so Christchurch progress into Round Three.